"You must never let up in your struggle against evil." 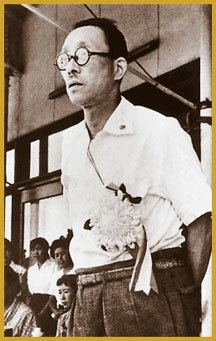 Note: Mr. Toda, the second Soka Gakkai president, passed away on April 2, 1958. More pictures of President Toda are here. A biography of him is here. Visit the Toda Institute for Global Peace and Policy Research.